Why Trump? After repeatedly backing Democratic candidates in the U.S. presidential contest, were the Russians tired of backing losers and thought it was time to splurge on the long-shot? New charges brought by Robert Mueller against former Trump advisors Paul Manafort and Rick Gates begin to connect some of the dots. It is staring to look like this tangled web starts with something called the Orange Revolution. And no, this has nothing to do with hair color. Putin’s man on the ground in Kiev was one-time Ukranian president, Viktor Yanukovych. Ukraine held a run-off election on November 21, 2004, between Yanukovych and challenger Viktor Yushchenko. The exit polling showed Yushchenko defeating Putin’s ally Yanukovych with 54% of the vote. The next day, after armored vehicles rolled into Kiev, Ukraine’s Central Election Commission announced that Yanukovych had won the election with 49% of the vote. This did not sit well with Yushchenko and his supporters. The Revolution had begun. A new election was ordered by the Supreme Court, and Putin criticized Western governments for attempting to interfere in the election (Ron Paul reported that “several US government agencies…sent US taxpayer dollars into Ukraine in an attempt to influence the outcome“). Shortly after this, Yushchenko disappeared. He was the victim of an assassination attempt – poisoned by dioxin, a toxin used in Agent Orange. Yushchenko eventually recovered and ended up serving as president from 2005 to 2010. What does this have to do with Mueller’s investigation? Yanukovych, the ultimate loser in the Ukranian election, paid millions of dollars to Manafort and Gates for their work as political consultants in the Ukraine. One wonders what sort of advice they gave to Yanukovych. Did they end up giving similar advice to then candidate Trump? Putin most likely looked favorably upon Manafort and Gates for their assistance in the Ukraine. If Trump was their man, well then, it seemed only logical for Putin to become a Trump supporter…but it actually might be worse than this. This new indictment of Manafort and Gates, includes an amazing list of allegations. The duo is accused of international money laundering, bank fraud, tax evasion, lying to the FBI, and a possible connection with another Putin associate, Oleg Deripaska, who is unable to obtain a US visa because of possible links to organized crime. All-told, approximately $75 million was funneled through off-shore accounts, and hidden from the IRS, by Manafort and Gates. There is also the possibility that Manafort and Gates influenced members of US Congress into taking pro-Russian views on the Ukraine. It is difficult to know how this ends up for Trump. He can always claim that he fired Manafort and Gates after learning of their Russian connections. If you are Mueller, you don’t turn the screws this hard, unless you know you are onto something massive. My guess is that the issue of Russian influence in the election is a distraction, and that it is ultimately a money-laundering rap for Trump. Mueller seems to be doing well by following the money. If Trump cash can lead to Stormy Danielle and Karen McDougal, where else might it take us? 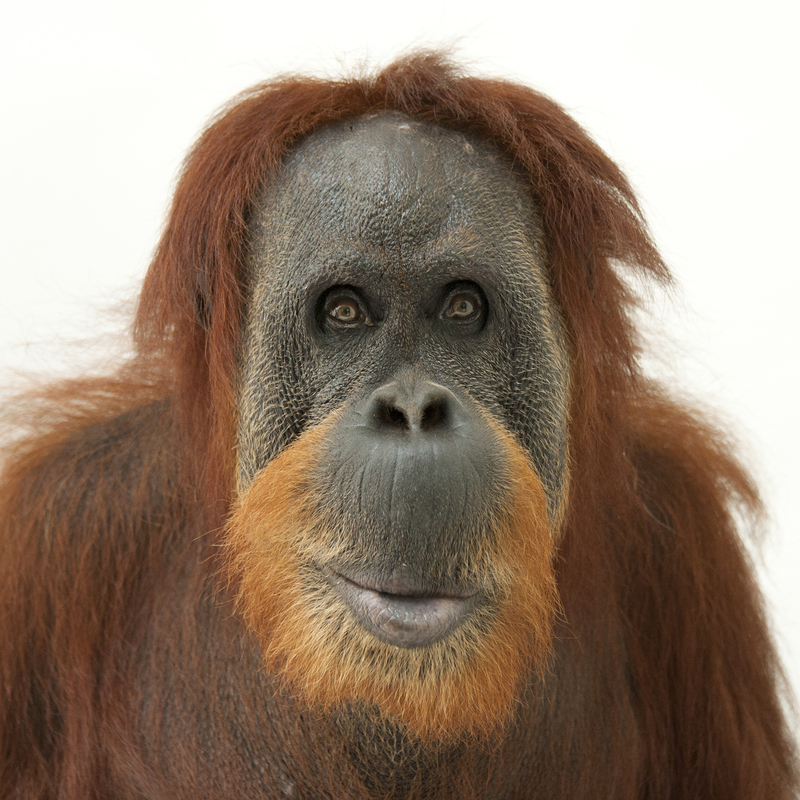 A female Sumatran orangutan, Pongo abelii, at the Gladys Porter Zoo.